And YESHUA HAMACHIACH, (JESUS THE CHRIST). Phillip Yancey…in his book “The Jesus I never knew” describes Jobs Outburst at God. “You don’t know what it’s like out here!” Job was most brazen, flinging to God this accusation: “Do you have eyes of flesh? Do you see as a mortal sees? Of the many reasons for The Incarnation, surely one was to answer Job’s accusation: Do you have eyes of flesh? …For a time, God did. God is not mute: the Word spoke, not out of a whirlwind, but out of the human larynx”….. of The SON of GOD, The Messiah of Israel, a Jew from Bethlehem. There was an email that made the rounds several years ago, its become very special to me. They fell to their knees and began to wail and pour out their hearts to the Almighty. As they prayed the clouds above opened and a Mighty Voice stated…“Amazing that you should come to ME. I, too, sent My Son to Israel”. WHEN JESUS WALKED THIS EARTH PEOPLE CALLED HIM BY HIS HEBREW NAME… YESHUA. Jesus was a rabbi; He was a carpenter. He knew what it meant to tend sheep, catch fish, and live in the shadow of the kings and empires of this world. He wore tassels on the hem of His tunic, attended weddings, experienced life in the everyday household of a Galilean community, and sat in Moses’ seat in the Synagogue. He was born into a race of people chosen by God to bear His name to the world; a people who had made a covenant with God and broken it. 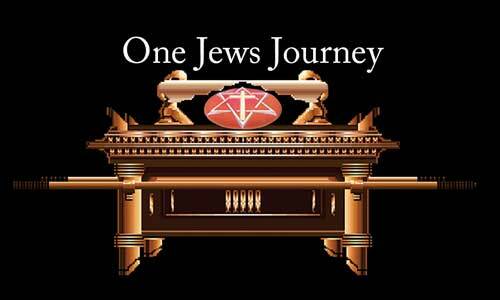 Jesus lived like a Jew, talked like a Jew, acted like a Jew, and worshiped like a Jew. He was a Jew from Nazareth. His words, actions, and teaching methods were in keeping with the customs, traditions and religion of the Semitic culture into which He was born. HE IS THE WORLDS OLDEST LIVING JEW, BECAUSE HE IS STILL ALIVE!